At the Bloomberg Faculty of Nursing, we transform remarkable people into extraordinary practitioners. U of T Nurses are a rare breed. They are chosen for their courage as much as their clinical judgement, for their leadership as much as their academic and community achievement. U of T Nurses not only excel in practice, research and policy. They also possess a remarkable ability to transform intellectual curiosity and dedication into change that benefits patients and caregivers alike. At U of T Nursing, our students are not merely satisfied with participating in the Faculty’s rich legacy of innovation. They are determined to carry it forward. “U of T’s Nurse Practitioner Program has the most clinical hours of all programs in the country and has the most clinically active NP instructors, true clinician-scientists and experts in their field. At 18, Matthew Douma knew that working with critically ill and injured people was his career goal. 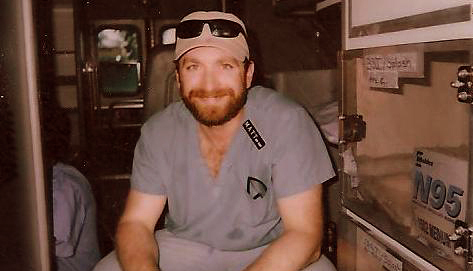 He started as a pre-hospital care provider, ski patroller and search and rescue medic, in the greater Vancouver area, and then focused on providing assistance in disaster and relief settings. Douma has taken that dedication to nine different countries, while maintaining a role in Edmonton AB’s busy inner-city emergency department, ICU and CCU and now applies that drive to the distance Nurse Practitioner Program at Bloomberg Nursing. After graduating with a Bachelor of Science in Nursing from the University of the Fraser Valley, Douma began his international work with an internship in Hanoi, Viet Nam with UNICEF. The experience went beyond nursing and equipped Douma with a strong knowledge of international governance, leadership and global politics. This work with UN agencies and the Canadian Medical Assistance Team (CMAT) has taken Douma on assignment anywhere from one week to six months when disaster strikes. From his recent stop in Haiti working in the country’s only ICU, to training paramedics in India and applying his nursing background to rural health centres in Cambodia or collaborating on disaster policy in Havana Cuba, Douma has truly immersed himself in emergency services. Closer to home, Douma has embarked on the Collaborative Program in Resuscitation Science and the Adult Stream of the Nurse Practitioner Program at Bloomberg Nursing and taken advantage of the online learning offered by the program. This virtual arrangement allows Douma to continue working at Royal Alexandria Hospital and maintain his clinical focus while advancing his learning and training, which he hopes to apply to further domestic and international work. “U of T, over any other university, has more to offer students in terms of awards and scholarships and that kind of support allows me to study without facing the stress of crippling student debt. In order to achieve those goals, Wall knew a master’s program would equip her with the critical-thinking, analytical and communication skills needed to have a greater impact at the policy and systems level. Wall also recognized that Bloomberg Nursing was one of the only faculties to explore the nursing profession at a deeper level than other academic institutions and it was a natural decision to begin her studies in 2011. The prospect of starting a master’s program on top of working full-time, participating in many professional organizations at the local and provincial level and being a mother to two little boys could seem daunting, but not to Wall. A supportive family and a passion to keep learning has Wall excelling at UofT Nursing. Her studies have garnered her financial and academic awards, and she has even found the time to lend her talents to the Graduate Nursing Student Society. This multifaceted nursing professional already embodies the integrity, compassion and knowledge that are the cornerstones of the nursing profession. U of T Nursing is helping to bring her career to the next level and strengthen the voice of the most vulnerable in society. “Few academic institutions can offer the same innovative, new research opportunities, and a faculty made up of internationally leading researchers, that Bloomberg Nursing can provide. “Nursing was always on my mind,” says Monika Dalmacio, first-year undergraduate student at U of T Nursing. 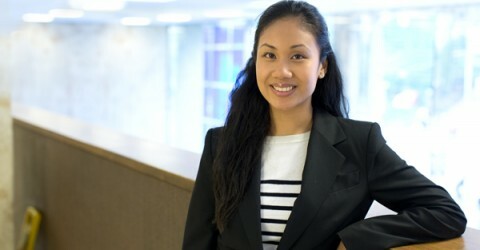 “It became my career goal when I was working at Holland Bloorview Kids Rehabilitation Hospital where I saw the connections nurses made with kids and how even little touches made such a difference in their day-to-day progress.” That year at Bloorview firmed Dalmacio’s decision to enter into nursing and after exploring different programs, was impressed with Bloomberg Nursing’s research reputation and began her undergraduate degree. 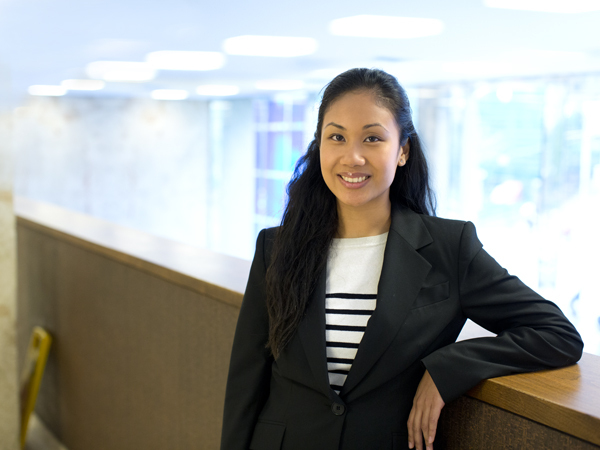 A Queen’s University graduate in biology and music, Dalmacio had a strong array of skills that fit well with Bloorview. Dalmacio took full advantage of an opportunity to volunteer with the resident music therapist but it was her initial experience as a swim instructor at the hospital where Dalmacio knew nursing fit with her goals and passions. Dalmacio noticed how the children and teens in her classes found swimming to be a very motivating program. The different degrees of mobility that students grappled with on land disappeared when they entered the water. The students wanted to be in the pool and put a lot of effort into developing the necessary independence. That one-on-one work with the students and the experience of helping and watching them grow gave Dalmacio the idea that nursing was the career for her. 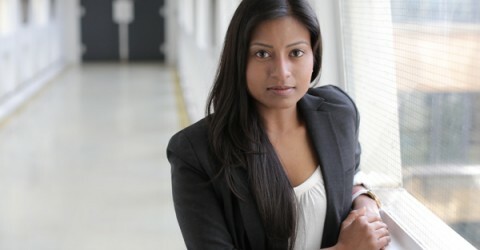 It was also through her work at Bloorview that Dalmacio saw how it was the nurses who really held things together and played a large role in both the organizational side of things, by initiating and managing processes, but also having a strong knowledge of their patients and what would best meet their needs. From there Dalmacio’s role expanded into a community music therapy program as a volunteer to help children strengthen their motor skills and work on self-expression. Dalmacio was impressed at the positive impact of music therapy and learned of its benefits in reducing anxiety and stress in children with cerebral palsy receiving Botox injections. Dalmacio continued at Bloorview as a part-time research assistant working on a study that identified risk factors for pain in kids and youth with cerebral palsy and seeing, once again, the strong influence nurses had throughout the hospital, it was clear to her that nursing was the direction to take. Now into her second month of the program, Dalmacio is looking at her career path, including a role as Vice President, Nursing Undergraduate Society at Bloomberg Nursing. Her experience with music therapy has Dalmacio interested in exploring alternative forms of health care and knows she will be able to navigate those interests through Bloomberg Nursing’s commitment to research and innovation. “I have been captivated by the charismatic faculty at Bloomberg Nursing and the high level of success my professors have achieved. 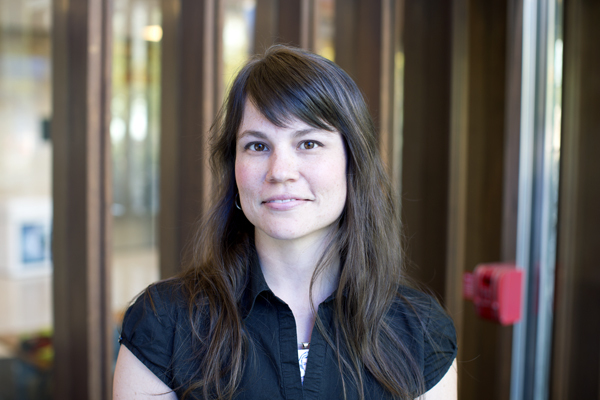 Academics, awards and accolades – Nisa Mullaithilaga has embraced postsecondary life at University of Toronto to the fullest. Managing a bachelor’s degree in cellular molecular biology then a master’s in pathology, all while forming the first intermural dance team at U of T Scarborough campus, Mullaithilaga brought impressive credentials to Bloomberg Nursing when she began the program this past fall. Balancing coursework with extracurricular activities provided valuable U of T student experience to Mullaithilaga, while also setting up the groundwork for managing the intricacies and organization needed in health-care roles. Originally, Mullaithilaga had set her sights on a career in medicine when she began to re-evaluate that decision and gave serious consideration to nursing. 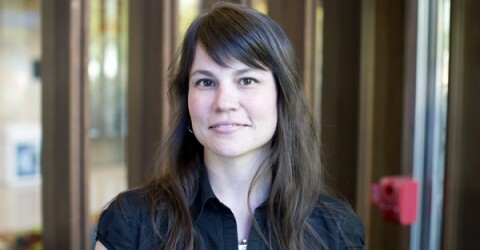 Through observation and personal experience, Mullaithilaga saw that nursing provided a stronger connection to patients and she knew this was the right decision. 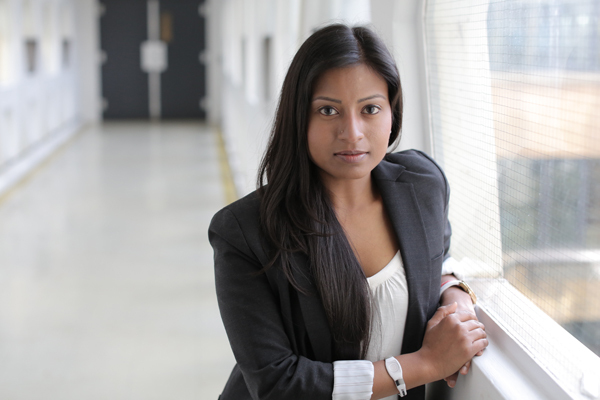 Researching her different options, Mullaithilaga found that what she was looking for was right on her doorstep, in the U of T community, and applied to Bloomberg Nursing. Mullaithilaga counts 2014 as one mark of success when she graduates from the program, and looks to apply her schooling from Bloomberg Nursing in a professional setting. Her previous work with autistic children and a role in a youth advisory panel to help students recognize mental health issues has her leaning toward work in paediatrics or mental health and addiction. With that goal in mind, she also plans on applying her experience with dance and other artistic mediums to fostering positive patient outcomes. Already equipped with some impressive credentials and experience, Mullaithilaga is well on her way to make a meaningful contribution to nursing. When most of us are heading out the door in the morning, first-year BScN student Ryan Northway has already fit in a rowing practice, with the Varsity Blues, and then gone to class or a clinical placement. Balancing his passion for rowing with his nursing career goals has provided Northway with time management and teamwork skills integral to succeeding off the water, and in the health care profession. 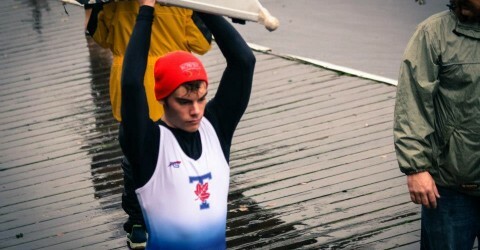 The Smithville, ON native spent his first year on the University of Toronto rowing team, the oldest rowing club in Canada, producing strong results. A fourth-place finish in the lightweight men’s double sculls at the Ontario University Athletics Championships and a sixth-place finish in the same category at the Canadian University Rowing Championships came from an unwavering commitment to train six days a week, no matter the season, and working as a team. 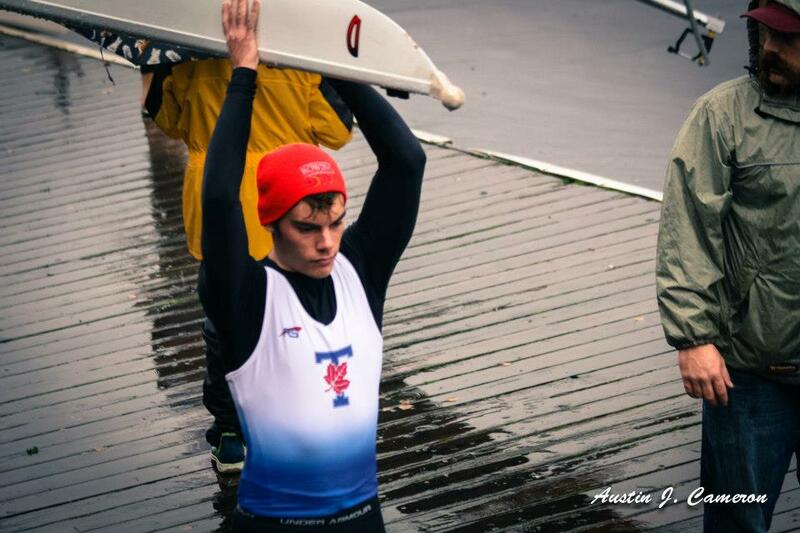 Northway became involved with rowing when he started his BSc in Kinesiology at McMaster University. He quickly took to the sport and began a routine of daily 5:20 a.m. practice starts, 6:00 p.m. practice starts and weekends spent at regattas. When he started at University of Toronto, he had spent the summer training even though he was unsure if he could join the Varsity Blues rowing team. Practice times for the team, at the east-end Hanlan Boat Club, end at 7:00 a.m. and most nursing clinical placements start at that time. A casual conversation at the beginning of the year with Dr. Francine Wynn, director of the Undergraduate Program, gave Northway the opportunity to talk about his desire to continue rowing through the Varsity Blues. Dr. Wynn recognized Northway’s discipline to rowing and the faculty worked to coordinate afternoon clinical placements to accommodate the Varsity Blues training schedule. As this school year begins to wind down, Northway will continue to train even though he is not sure if the BScN second-year timetable will fit with another Varsity Blues season. What he is sure of is a nursing career spent working with people in the operating room or the emergency room and increasing his patient-building skills. The drive and determination Northway has applied to his rowing and schooling will provide him with valuable tools to succeed in nursing.